The Day the Tractors Come to Town (video) touching, powerful song about Wisconsin. Don't Blow Up the Mountain (video) West Virginia environmental action photojounalism and animation shown to an excellent soundtack of Bluegrass music with contemporary lyrics. Empty Trough (Tax the Rich) (video) written and perfomred by Bonnie Lockhart. Nuns on the Bus Rewrite of favorite nursery song supports protest against Ryan Budget. Interesting Times (video): Original song written and performed by Hali Hammer (filmed at Occupy Berkeley). Printable lyrics pdf. Occupella on KPFA (audio) Bonnie Lockhart, Hali Hammer, Leslie Hassberg and Nancy Schimmel spoke and sang on KPFA's Saturday Morning Talkies on 1/7 starting at 45 minutes into the one hour recording. 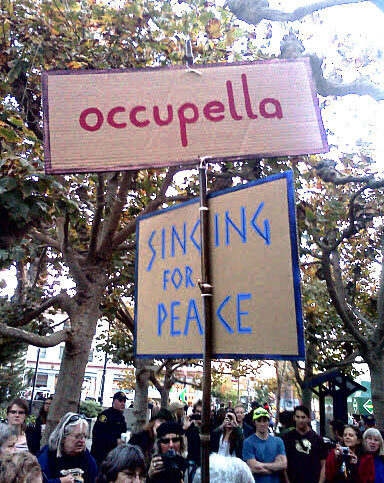 occuponics.com (website): a musical collaboration (based in New York) founded in the energy, experience and values of the Occupy Wall Street (OWS) movement. Occupy Musicians (website) Great resource: (very long) list of musicians that support OWS. 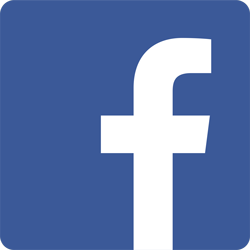 Occupy Songs & Poems on Facebook: original occupy songs and happenings. Reject & Protect U-wi-ta (Coming Together) (video) from our New England songwriter friend, Sarah Pirtle: This song and vivid photos tell the story of the powerful gathering of the Cowboy and Indian Alliance last April in Washington DC. Sit Down (audio) by Peggy Seeger and sheet music: Highly singable and infectious. Songs for the 99% lyrics by Sandy Pliskin: “Bailout” and “Bombs and Bailouts” are particularly useful for demos, while “Hats and Mittens” is most directly about the concept of the 99%. Take Me Out of the Big Banks (video) written and performed by Betsy Rose. Three Painters Witness Occupy Oakland & Occupy San Francisco (video): a slide show of soulful, expressive pantings that capture the moment. With a soundtrack by Freedom Song Network members. Valero Oil of Texas (video), parody by Bonnie Lockhart & Nancy Schimmel, performed by Laurie Lewis, against the Keystone XL pipeline.